A huge thank you to Hadley Keller and AD Magazine for doing a story on Alice Mackler and I and our2 person show at Kerry Schuss Gallery. 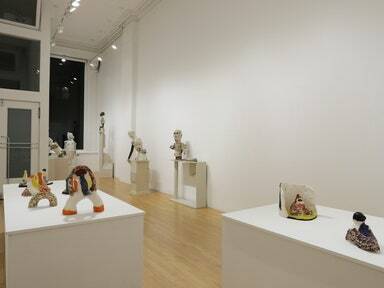 Works by Alice Mackler and Derek Weisberg on view in a new show at Kerry Schuss Gallery. 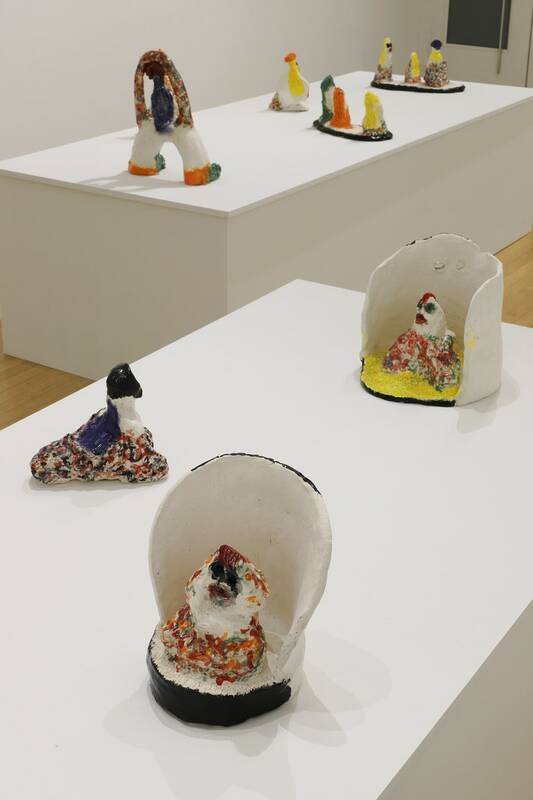 Alice Mackler, a ceramicist who at 87 has found late-in-life recognition for her colorful, anthropomorphic sculptures, had an unusual request for her latest show at Kerry Schuss: She wanted it to include her teacher. Schuss, who has been representing Mackler since her first gallery show in 2013, obliged and, on November 17, the Tribeca gallery opened “Alice Mackler & Derek Weisberg,” Mackler’s first dual show. The result is both a touching demonstration of the two artists’ relationship and a unique opportunity for their works to play off of each other. Mackler and Weisberg are a delightfully odd couple, she gray-haired and diminutive in stature at 87 and he tall, broad, and some 50 years her junior. 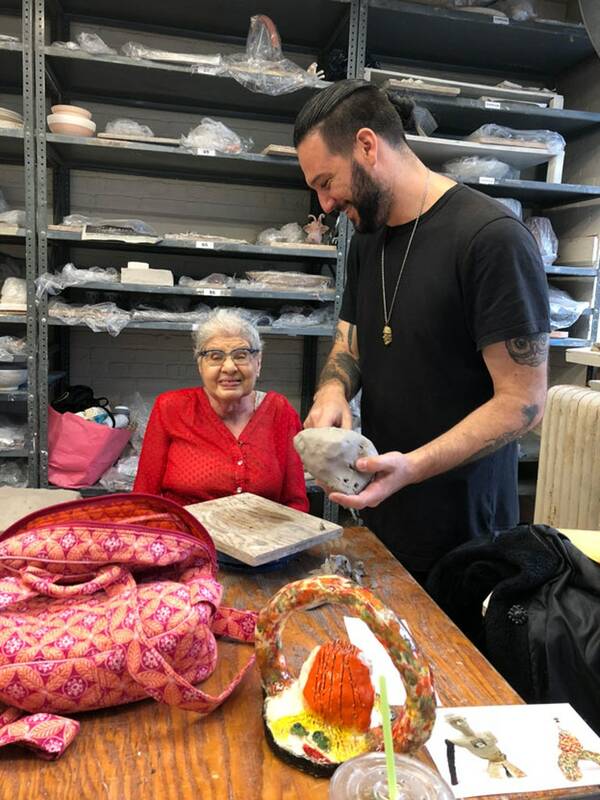 The two met in 2011, when Weisberg moved from California to accept a resident technician job at Greenwich House,the nonprofit settlement house turned pottery studio. Soon, Weisberg was given his own class to teach, and Mackler was in it. Alice Mackler, left, and Derek Weisberg working at Greenwich House Pottery. Mackler has been attending weekly (“I’d go every day if I could,” she says, “but the weather is what makes it hard”) classes at Greenwich House since 1999, but has been “doing artwork since high school. Weisberg is also a lifelong creative. “I’ve been making things in ceramics since I was six years old,” he says. He does work in a variety of media, but the sculptures he has on display at Kerry Schuss are, like Mackler’s, figurative works in ceramic. While Mackler’s figures beckon with colorful, almost sultry, glazed clothing and makeup, Weisberg’s are more subtle in hue, relying on texture and materiality for depth. Mackler’s latest sculptures feature figures resting on a kind of stage backdrop. Weisberg’s statues rest on plinths he designed and constructed. 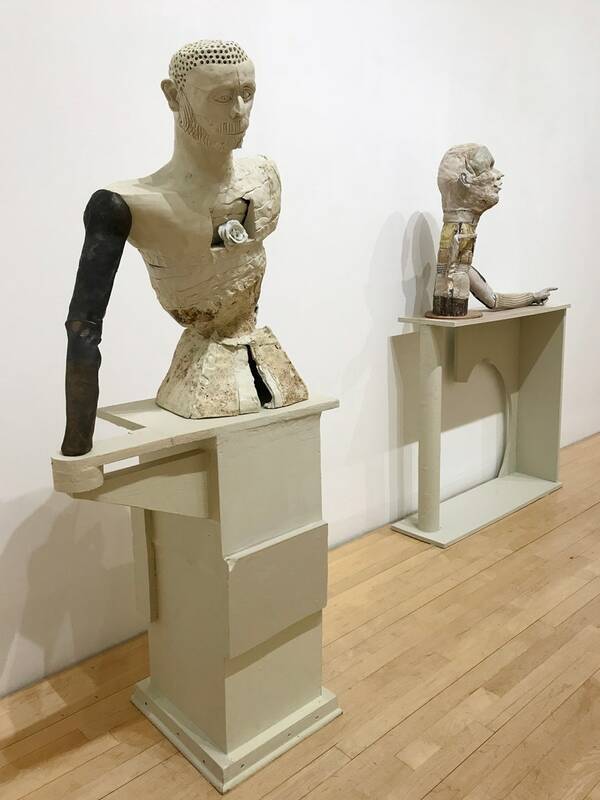 Interestingly, Weisberg’s works also have stages, of sorts: He has constructed custom wood plinths for each work, which replace the typical gallery display. Though Weisberg’s pieces are situated at the front of the gallery and Mackler’s at the rear, the relatively small, open space allows a sense of interaction.